A circus-performer-turned-PI takes on “murder and intrigue from New York to Iran” in this “well done, suspenseful” unconventional mystery (Newsday). When his former big-top boss asks him to find a missing Iranian strongman, Mongo is plunged into a three-ring circus of murder, espionage, and international intrigue. And when Mongo’s own brother—police officer Garth Frederickson—gets involved, the detective must fly to Iran, a country on the brink of a revolution. Now he’s searching for two missing men, from Tehran to the ancient city of Persepolis, playing a game of a cat-and-mouse with forces far beyond his control. And unlike his days as an acrobat, this time, if he slips up, there’s no net . . .
With a fearless sense of fun, author George C. Chesbro continues the adventures of “one of the most appealing creations in the detective world” (Publishers Weekly). 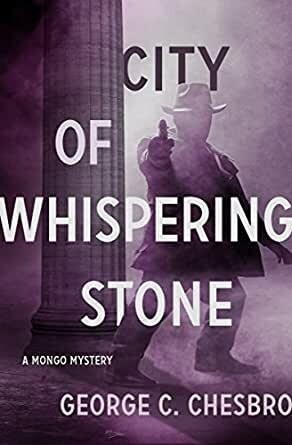 City of Whispering Stone is the 2nd book in the Mongo Mysteries, but you may enjoy reading the series in any order. Intrigue, the Mideast, and lovable Garth. A rather dark tale that takes us out of our element and into the desert sands. Makes you fear for the lives of our dear brothers. Constant motion, always making you in a hurry to turn the page. Some things even Mongo can't fight.